Balancing What Is Known is a symbolic portrait meant to confront the viewer, and pose questions on the state-of-the-woman today. 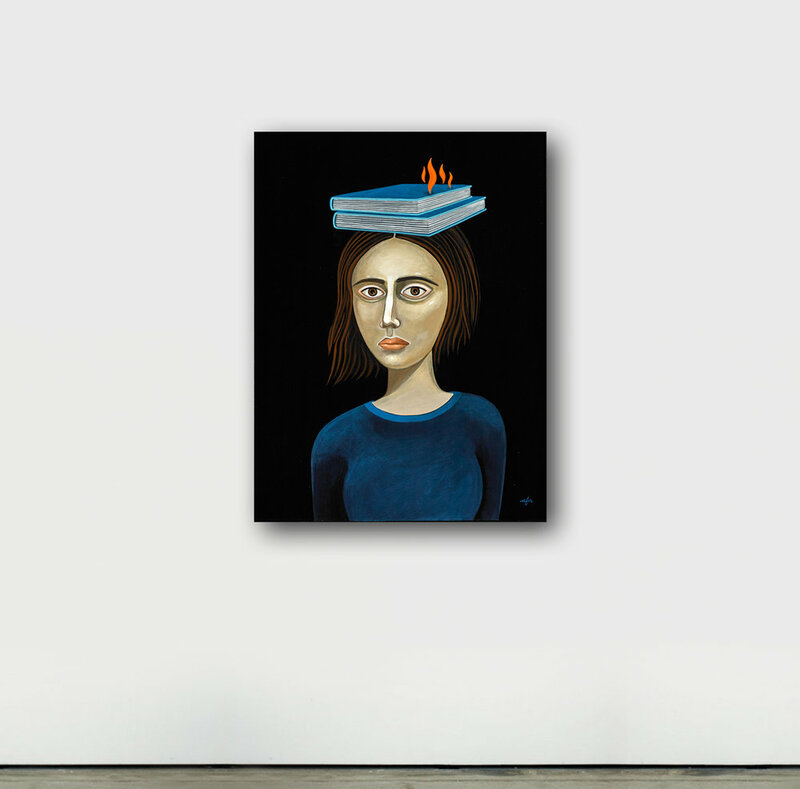 Here, books ablaze and balancing on the head of a girl, symbolize knowledge and facts. Addressing current-day social issues, this is a symbolic question of what spark will be lit, and progress will be made, based on what we now know.